You can say what you like about Snapchat, but the company behind the popular app has always been willing to try and push the boundaries in order to make the public see that selfies can be so much more than just a simple static image. 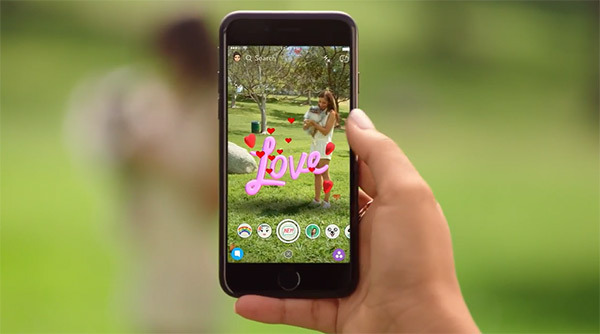 As the app has grown, one of the features added, has been the extremely fun and entertaining augmented reality overlays using the front-facing camera, or Lenses as Snap Inc. calls them. The company has now taken that to the next level with the introduction of World Lenses, a feature which shies away from the selfie in favor of brightening up the whole world through the view finder. It’s probably fair to suggest that at one point or another you have been browsing through your social media streams and came across a friend, family member, or a simple connection posting a picture of themselves with puppy-dog ears augmented onto their head, or a rainbow projecting out of their mouth. It now seems that anyone looking to take a selfie instantly defaults to using the front-facing camera in Snapchat in association with the fun and entertaining Lenses functionality. The same type of experience is now capable with the main camera on the device, but with the ability to place 3D objects into the environment and interact with them. The feature essentially works in an almost identical fashion to what is already offered with the front-facing camera. Users are invited to tap and hold on the display in order to bring up the list of available World Lenses, accessible through a horizontal scrolling control at the bottom of the display. As that feature is being invoked, the Snapchat app appears to do what looks like a very quick mapping of the environment in order to get an understanding of what the user is looking at, and to be able to move and re-position the 3D item whenever the device is moved or tilted. Microsoft’s HoloLens does a similar thing, albeit a lot more in-depth, in order to have an awareness of the environment that it is in. Once placed, the object can then be manipulated, touched, and even moved around the environment until the scene looks exactly as the user wants. You do get the feeling that this is just a very small stepping-stone for Snap to realize the bigger picture of introducing in-depth virtual and augmented reality experiences in Snapchat. Now, how long enough Facebook brings the same functionality to its app? Played with it before and deleted it. Not interesting.